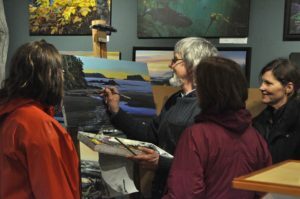 Mark will be in the gallery painting at his easel this B.C. Day weekend. Come in to see him in action and get insight into how he creates his vivid and detailed artworks.